Enjoy the added nutritional benefits of cooking with dried beans and stock your restaurant or buffet with this 20 lb. bulk supply of dried Great Northern beans! 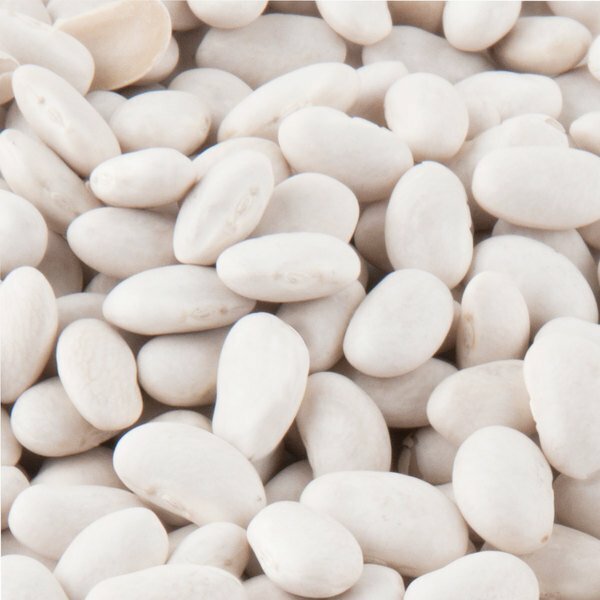 Great Northern beans have a delicate, distinctive flavor and white color that makes them an excellent addition to rice, soups, stews, and baked bean recipes at your restaurant or buffet. Although Great Northern beans alone do not have a strong flavor, they enhance your dishes by soaking up the flavor of anything they are cooked with. Create a creamy white bean chili, or serve with ham for a popular pairing. Because of their long shelf life, dried Great Northern beans are easy to store and portion. Like all dried beans, these Great Northern beans require a soaking process before cooking and serving. They may take longer to cook than canned beans, but dried beans have many advantages. Though canned beans require preservatives to lengthen their shelf life, dried beans are more natural and have a much lower amount of sodium than most canned beans. Though canned beans may seem either too firm or too mushy, your staff can control the firmness of the beans as they cook them in their own kitchen. Cost-effective and rich in protein and dietary fiber, these dried Great Northern beans make a smart addition to any commercial kitchen! Overall User Rating: Dried Great Northern Beans - 20 lb. Love these beans, not sure why i didn't try dry years ago, always bought the canned in water, these cook up fast and are just as good, and cheaper. 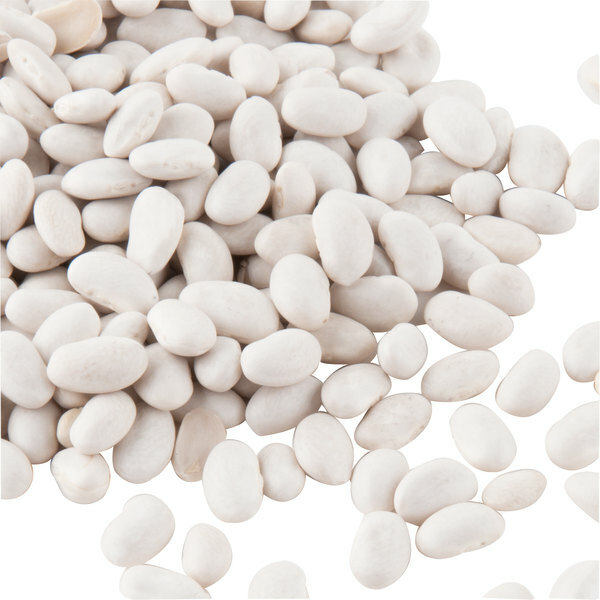 I have a desserts shoppe and this dried great northern beans is one of our main ingredients. Just need to cook around 15-25mins in a pressure cooker and you are set. Great product. These bulk beans are of very good quality, and come in at a fraction of the price of the national or the private brands! These dry northern bean are great! We soak them over night and then use them in our homemade ham and bean soup and they work perfect! Add just enough flavour to the soup! These great northern beans are the perfect bean soup bean or can be added to other soups to enhance the taste and texture. This is a good deal. This is a great way to stock up on the basics for your kitchen or pantry. These beans are tasty, last basically forever, and are inexpensive. We found these beans to be of good quality and very economical. Unfortunately, we were not pleased with the packaging and handling during shipping and provide a corresponding lower rating. For anyone looking to purchase dry beans in bulk this is the place. I am so glad they offer their products for the everyday consumers and not just business like other companies. I shopped around before finding the Webstaurant Store and so glad I found you. With the added convenience of to your door delivery and their lightning fast shipping you can't go wrong. I will be using you again! Thanks again! This is a really great product! Once soaked and cooked these beans have a great creamy center. They are great for salads or soups alike. These beans are great cooked and served hot as a white bean puree or in a hearty bowl of soup! I like them cold in a salad!! I really enjoy using the dried great northern beans to make a delicious white bean and pork soup. These beans add a great creaminess to that recipe.